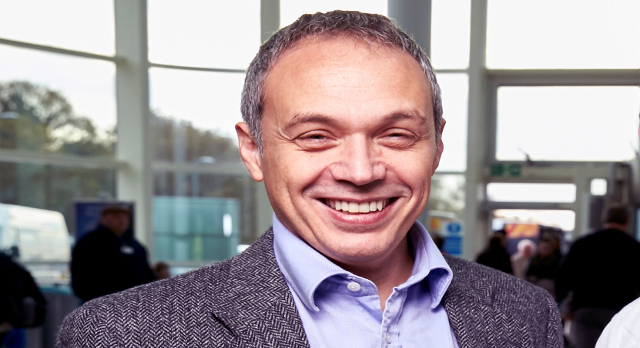 Leading UK neurosurgeon and Director of the NIHR SRMRC, Professor Tony Belli, will be talking to BBC Radio 4’s Claudia Hammond about head injury and sport on BBC Radio 4 at 11am this morning. The programme focuses on a growing concern that the dangers of concussion, traumatic brain injuries, aren’t taken seriously enough in contact sports and that head knocks and head bangs could be causing an early onset dementia called CTE, or Chronic Traumatic Encephalopathy. This disease, formerly known as Dementia Pugilistica, was previously thought to be a degenerative brain disease confined to boxers who’d spent a life-time taking punishing head injuries in the ring. But it has recently been discovered in the brains of an assortment of elite athletes; first an American footballer, then ice hockey players, rugby players and professional football players. It’s raised real fears that playing contact sports, where concussions are a common risk, could be the cause. Professor Belli said: “I was delighted to be invited to speak on BBC Radio 4 about our work. “Sport concussion, defined as a brief period of loss of consciousness (LOC), memory loss or feeling dazed or confused following trauma to the head, face or neck, is a common cause of traumatic brain injury, accounting for 10-25% of all recorded head injuries worldwide. However, it is not always recognised or treated appropriately. “The NIHR SRMRC is at the forefront of a nationwide discussion about concussion and is conducting research which will help to inform sports players, doctors, and coaches about the risks of concussion, alongside developing methods for diagnosis and treatment. To enable members of the public to find out more, the team is holding a free event – Concussion: Facts, Fiction and the Future of Sport – on Wednesday 4th March (17:30-20:00) at the Queen Elizabeth Hospital Birmingham and all are welcome. Organiser Hannah Brooks explained: “Our team of experts from the NIHR SRMRC plus special guests from Moseley Rugby Club will provide an evidence-based summary of concussion knowledge to date, explore the myths surrounding concussion, provide an athlete’s perspective on experiencing concussion, and discuss the reality of dealing with concussion for the medical team. To register for the event or find out more please click here or contact Hannah Brooks or Rosie Sanderson in the NIHR SRMRC on 0121 371 4223. To find out more about the BBC Radio 4 programme please click here.